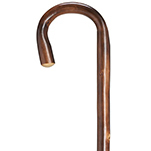 Black soft touch crook shape handle with narrow brass ring. 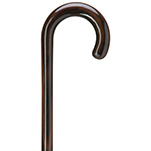 Walnut stained hardwood shaft 36" long tapering from 3/4" to 5/8" diameter. 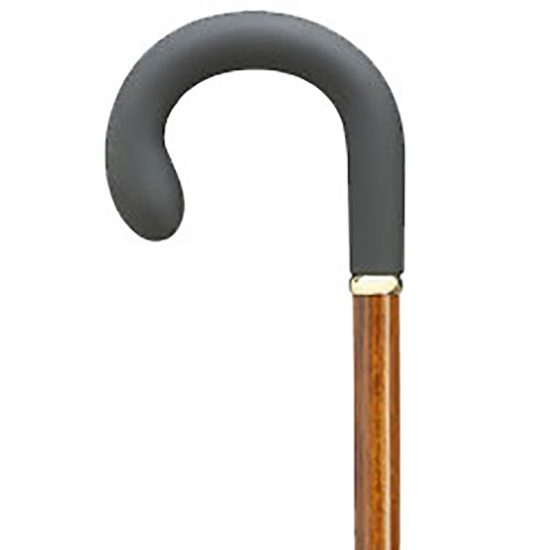 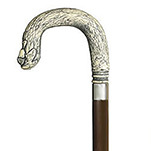 Castania Finish with Gold Plated Accent Band Crook Handle Cane.